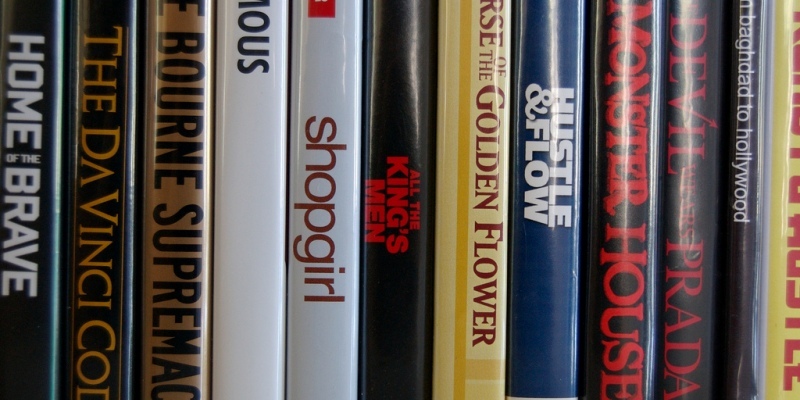 Which DVDs Should You Sell? Choosing DVDs to sell is harder than choosing CDs to sell for a couple of reasons. Unlike CDs, which can be ripped to other formats or streamed, the options for watching a film are limited. Your DVD is probably the only way you can watch a particular film. A lot of us feel a great deal of pride towards our DVD collections too. They might have taken years to build up, or they might show visitors just how much you love French cinema (and thus make you look more sophisticated). Either way, it makes deciding to sell DVDs a lot harder. So, without any further ado, here are some questions to ask yourself when choosing which DVDs to sell. When was the last time you watched the DVD? The obvious question, but an important one. Most DVDs are watched once and never leave the shelf again and these are the films you should be looking to shift. Anything that hasn’t been watched in over a year-and-a-half should be moved onto your ‘sell’ pile. Can you think of any reasons you’d watch the DVD again? Answering this question requires a little bit of honesty and no excuse making – ‘maybe’ isn’t an answer! You’ll have to come up with a decent reason to watch the film again. If it’s one of your favourite movies, that’s a good reason. If it has some sentimental value, again, that’s a good reason. However, ‘I might be bored one Friday night and decide to watch it’ isn’t a good reason because you’ll have plenty of other options to keep yourself entertained. Get rid! Would you be embarrassed if a potential girlfriend/boyfriend saw the DVD on your shelves? Nothing gets people shifting stuff quicker than thinking it might cause them embarrassment in front of a hot girl/guy! What would you like a future partner to see in your DVD collection? Keep all the good stuff and get rid of the weepy romances (guys) and the Disney Princess collections (girls)! Would your house look better without the DVDs, and could you use the space more efficiently? Britain has some of the smallest houses and flats in Europe, which means that we have to use our space efficiently. Unfortunately, stacking all of your DVDs on the floor next to your TV isn’t an efficient use of space…and it doesn’t look great either! If you haven’t got a fancy shelving unit to store all of your flicks in, consider selling them. If you do have a nice unit, think about what else you could use that space for – a nice new sofa or a bigger TV, perhaps? Do you use streaming services? We’re spoilt for choice when it come to streaming services, with Now TV, Netflix, Amazon Prime and Wuaki all fighting it out for our monthly subscription fee. Although you might feel sceptical about using one of these services, believe us when they say they make watching movies a lot easier and there’s a great selection of films to choose from too. If you keep all of your favourite movies on DVD and sell the rest, you’ll be able to fund your subscription for a couple of months too. So what are you waiting for? Get decluttering and make some cash selling your DVDs!